Amelia Singer & I both love our Champagne, but thought on the run into the Christmas holidays, time to have a look at some alternative bubbles out there on the market….Part 1 is Crémant and Cava! Twitter Take Over – It’s Bordeaux Time!! Following on from my first live tweet up session last week with the Villa Maria guys and girls, I’m back worryingly quickly to do it all again! I’m going to do a take over of the twitter feed for the CIVB’s UK account. The CIVB are the marketing body for the wines of Bordeaux, and they’ve got a big old job on their hands! A couple of years back a mate of mine, Tim Milford, got me involved in Vinspire’s Secret Santa. Vinspire are a group of young (not sure I’d count anymore!) bloggers who talk about all things booze related. And they set up this thing where everyone gets sent a random name and address and sends off a bottle of wine of their choice. Then you get one back, but not necessarily from the same person. I think turkey gets a bad reputation, mostly cos it’s a big bird and it’s hard to cook properly. Ever since someone bought my mum “Nigella at Christmas” then we’ve been having a great time of it. It’s also an incredibly good meat for promoting the production of serotonin (the happy hormone), so one to look out for all year round if you can! Managed to skip a day last week as I’ve been over in Paris running a wine tasting night for 20h33. So I guess I’ve got a bit of catching up to do this week. But most of the days are pretty much pre written. Given that by Tuesday it’ll be December, I can start talking about things like Christmas wines without feeling too daft. #MWWC14 – We’ve all got our traditions! 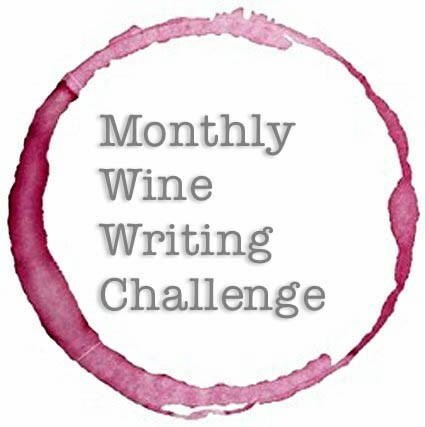 For this month’s Wine Writing Challenge the theme is “Tradition”. Given the fact we’ve just been through arguably the busiest time of year when it comes to family-meet-ups, some of the things we all do when we’re together are still fresh in the memory. It’s that time of year isn’t it? A couple of weeks ago I got asked by a new foodie mate up in the awesome part of the UK that is Yorkshire to put a few thoughts on Christmas wine. Well it’s my first christmas as a blogger, so I was well up for doing it. He posted it a week or so ago, and i decided to reblog it now to everyone else. If any of you fancy having a look at the original, Graham’s site can be found at http://grahamlawn.wordpress.com. There’ll be some more blogs in the next week or so, but might as well use this time to wish everyone a happy christmas and new year. Eat lots, drink lots, and don’t worry about the belly til January! Big THANK YOU Mike for your excellent contribution. I’m actually turning into my parents. I’ve started catching myself saying “dear me, hasn’t christmas crept up again this year?” I knew it would happen at some point, but unfortunately I am merely moments away from working out where to put the armchair so I can doze off to Morecambe and Wise re-runs.